Speedway witnessed one of the biggest crowds seen at the Western Spring venue for over 35 years. Parking became a premium with some being double parked on the median strip as far away as the St Lukes Shopping Centre. “It was great to see the people coming to support us” said Greg Mosen – Promoter, some had walked quite a distance to the venue, however they were all in a cheerful mood and were looking forward to a great night out”, he said. 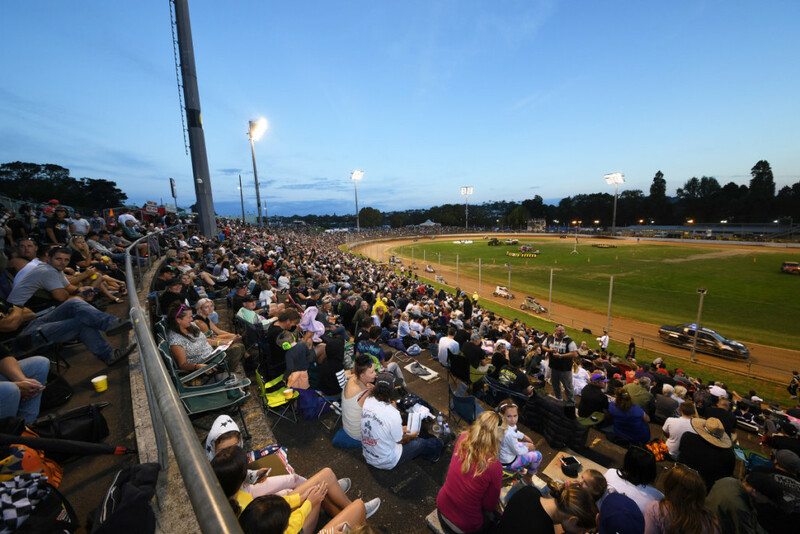 The crowd tally was 12,740 and they were packed in tight to witness what Speedway here in Auckland has to offer with the big fields of cars and action-packed racing. The dance competition is always a crowd favourite with hundreds of kids participating. Thanks to everyone who came to support Speedway here in Auckland, it’s been around for generations, and its important it continues so that generations to come can enjoy the sport too. See you next season back at ‘The Springs’.